The net recording is in two parts of approximately 45 minutes each: Click on the DX100U transmitters to listen. Today's net was run by Bronek Wedzicha, M0DAF from York. The recording has been edited to remove stations which were unreadable at the recording location in Brittany, NW France. June 2018. A two minute photo/video compilation. The earlier scenes are from the American sector beaches, the hotel at Saint Vaast and the nearby beach where the station was first set up for a few days. After relocating to Arromanches, VMARS members Tony G3YYH, Martin M0MGA and Ian F4VSC, activate the British Gold beach, King Red sector, with the wartime 1943 Bendix TA12-C transmitter for communications with other VMARS members in Britain and the Netherlands. A.M. communications in excess of 400Km were also achieved using the wireless set No. 46 running just 600mW. to celebrate a fascinating wartime story of bravery and daring. AM activity in the UK can be found almost every day on frequencies such as 3615KHz and 5317KHz. VMARS hold a regular AM net on Saturday mornings on 3615 KHz starting at 08:30 local time and ending by no later than 10:30. There is usually an informal net on the frequency from around 07:30, which is then handed over to the designated Net Controller just before the controlled net is due to begin. Anyone is welcome to call in, there is no requirement to be a member of the Society or to be using vintage equipment; all that is required is a genuine interest in using AM. Net Controllers ask participants not to tune up on the frequency when the net is in operation, even if you cannot hear anyone at the time. The Controllers will make a "tuning and netting" period available at the start of the net and will allow gaps for stations to call in. Joining stations will be added to the bottom of the list of stations already logged and waiting their turn. When Mike runs the Saturday net he uses his 1950's Minimitter transmitter and a Racal RA17 receiver, seen here in his fine collection of Racal equipment. 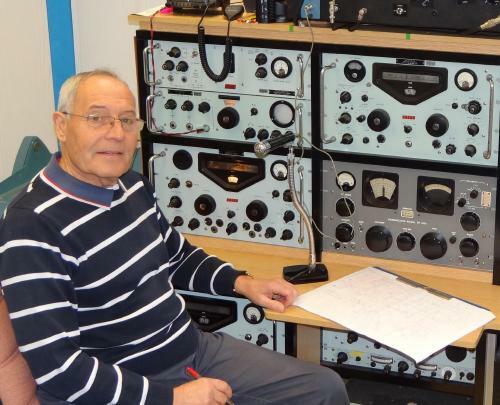 Keith usually operates the VMARS net with a Labgear LG300 transmitter and a National HRO receiver but he has been known to come up on a Heathkit DX100U transmitter with an RCA AR88 receiver.Keith is pictured here in front of his 1940's Marconi T1145/R1155 RAF aircraft station famously used on board Lancaster Bombers. Stuart's main station for use on the net is an RCA ET4336 Tx and an AR88 D receiver. 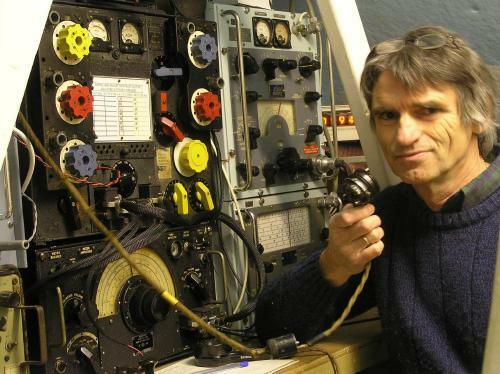 However, he will frequently be heard using some of his other sets, such as his Marconi T1509, a DX100U or KW Vanguard transmitters from his large collection of vintage and miltary equipment. 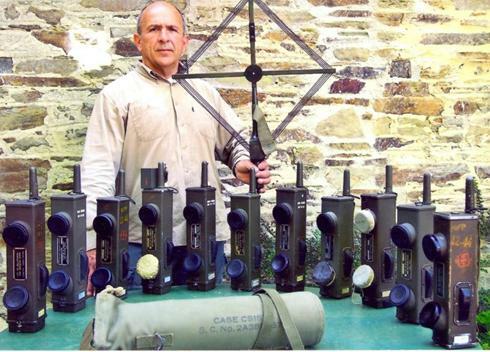 Below - Paul Craven, M1PVC , regular VMARS AM Net Controller located near to the village of Hartfield in the Ashdown Forest, East Sussex. Below - Martin Sweeting, G3YJO, regular VMARS Net Controller located near Guildford in Surrey. 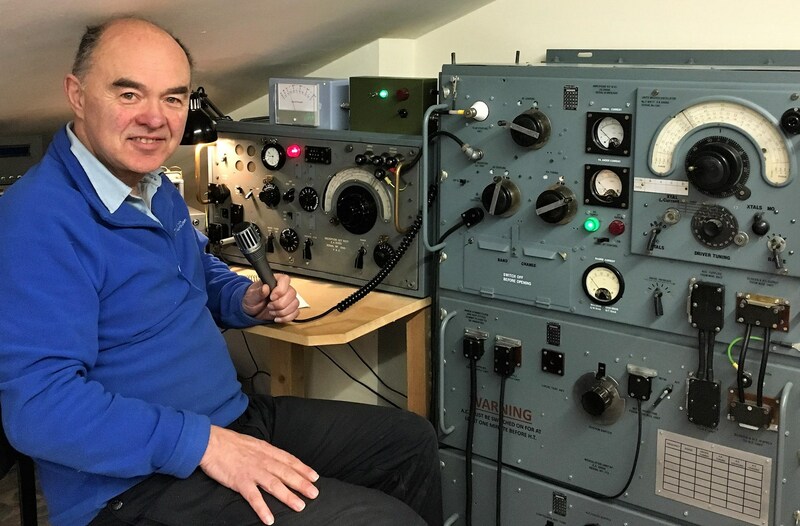 Martin is pictured here seated in front of his fully restored Wireless Set No.53 transmitter next to an R107 receiver. 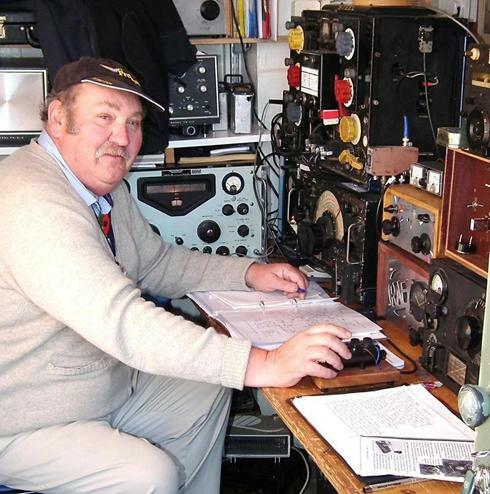 As well as being on the Saturday Net controller rota, Martin can be regularly heard on air using one of his collection of British WW2 wireless sets which includes WS No's.19, 52 and 62, as well as the WS 53. Below - Bob Tucker, G6AVI, regular VMARS Net Controller located near the town of Watton in Southwest Norfolk. 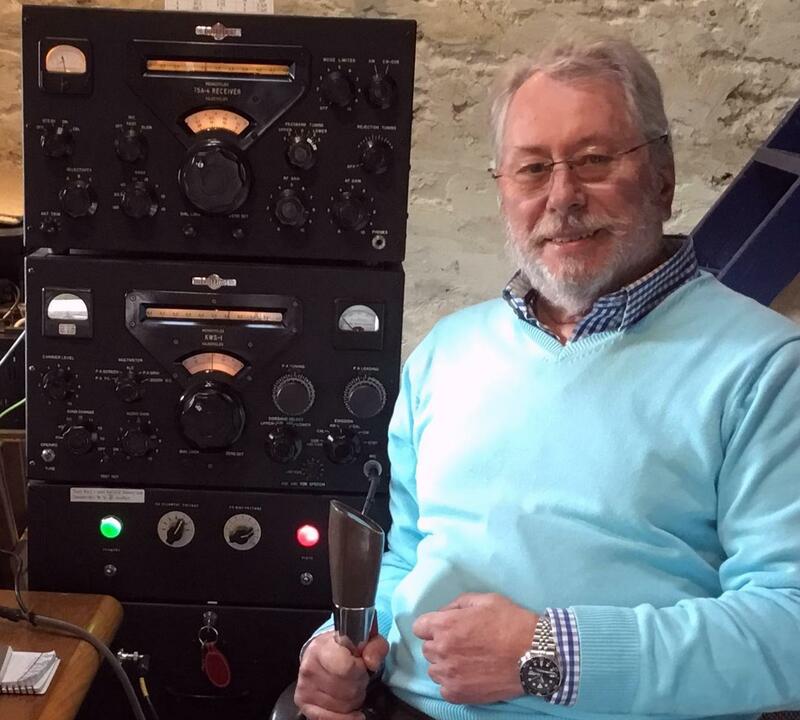 Bob is pictured here using a Minimitter ‘tabletopper’ transmitter and his Collins 75A-4 receiver. He also has an interest in building his own equipment and his "Home Brew" 813 transmitter and modulator can also be seen. Below - the shack of Tony Barron, G3YYH, located in the Cotswold Hills about 5 miles south east of Cheltenham. 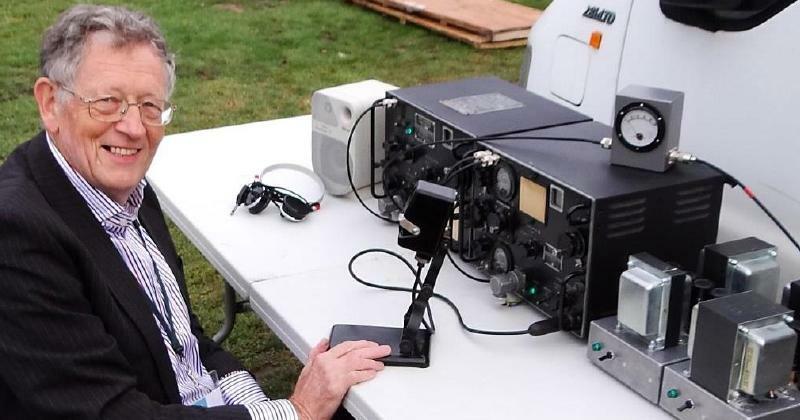 Tony generally uses an HRO receiver from 1946 and a DX100U transmitter, with SDR on stand-by to resolve difficult signals. Below - The shack of John Sommerville, MW0XHO regular VMARS Net Controller located in Conwy, North Wales. 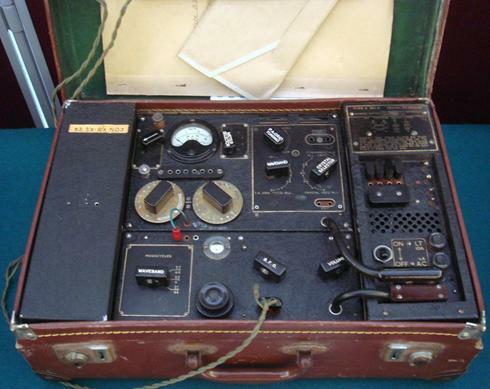 John's extensive collection of equipment includes some heavy metal transmitters and receivers which include a Collins KWS-1 tx and 75A-4 rx "Gold Dust Twins" station, a Diplomatic Wireless Service Mk210 transmitter and his 1948 Marconi T1509 RAF ground transmitter pictured below. 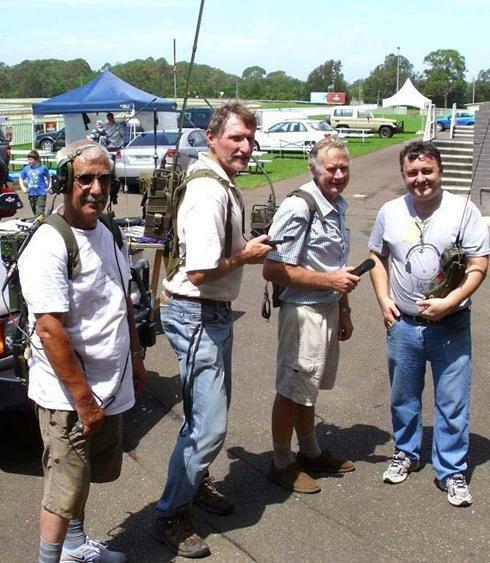 Receivers at John's QTH include an RCA AR88D and a Collins 390A. Below - Ian Underwood, F4VSC , occasional VMARS Net Controller located near the town of Rostrenen in central Brittany, North West France. 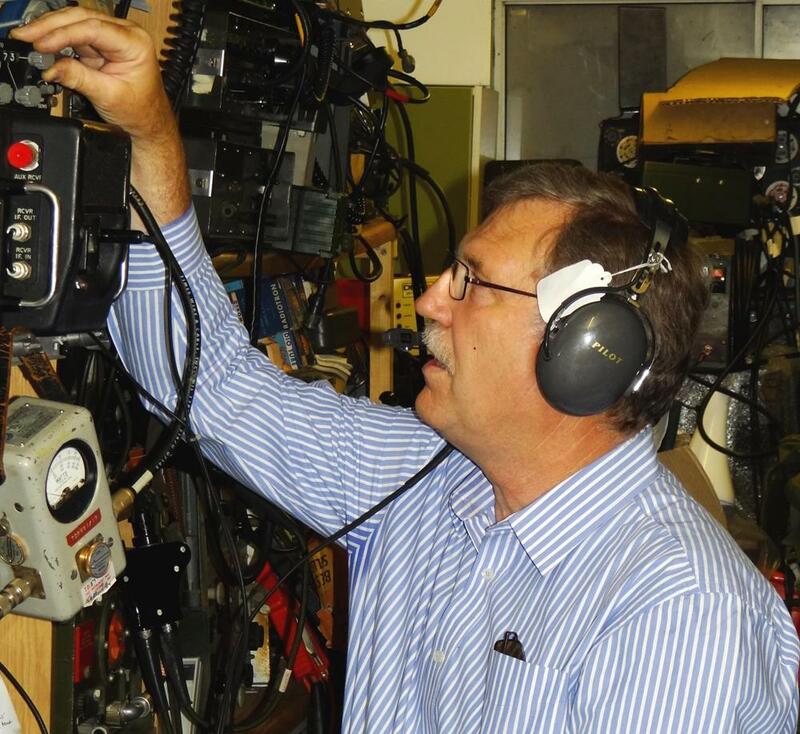 Ian, who also holds the UK licence M0YMK, operates a Collins KWS-1 or a Heathkit DX100U for net control. Other transmitters regularly used by Ian on VMARS nets are Bendix TA12c, Wireless Set No.19, Larkspur C11/R210. 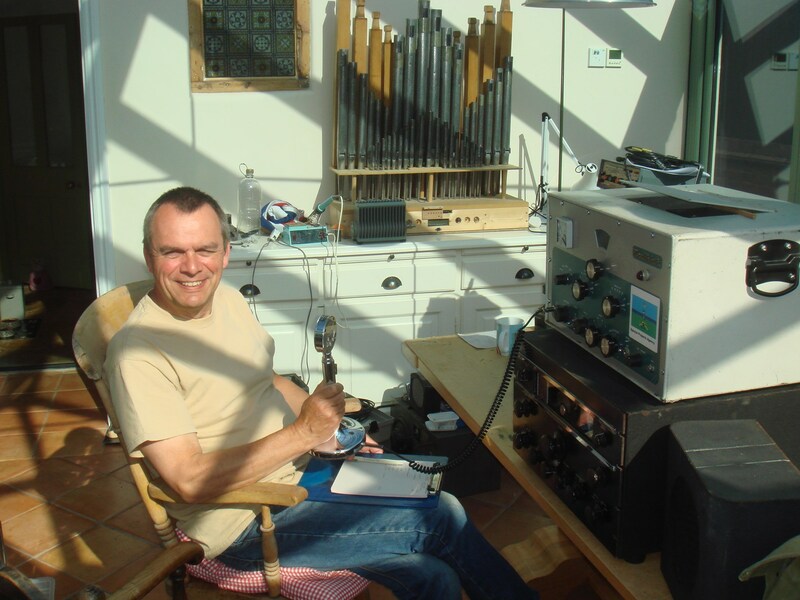 Receivers include National HRO 5T, Racal RA17, RCA CR-91 and Collins 75A-4. .
Below - Martin Smyth, M0MGA, regular VMARS Net Controller located in Whitehill near Bordon in East Hampshire. Martin uses a Heathkit DX100U transmitter and an RCA AR88 receiver for his turns as Net Controller. At other times he can also frequently be heard using his very distinctive Wireless Set No 12 transmitter. Below - Martin Owen, G4JSX, regular VMARS Net Controller located near Rugby in Warwickshire. 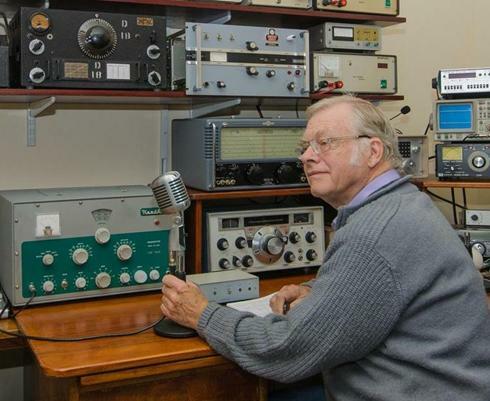 Martin has a fine collection of Naval equipmemt dating from the 1940's into the 1970's, which can be regularly heard on air on the weekday SSB nets as well as on the weekly Saturday Morning AM net. The society also runs SSB nets. A USB net takes place each Wednesday at 20:00hrs local time on 3615KHz +/-QRM to provide an opportunity for those who wish to use their unmodified military sets which operate in USB only. There is an LSB net on Friday evenings to encourage members to keep in touch on-air. This takes place at 19.30 and uses LSB on 3615KHz +/- QRM. 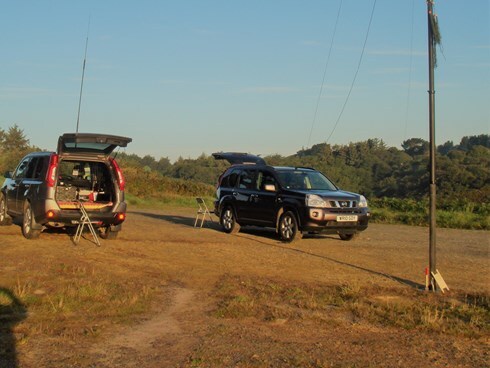 From time to time, the Society runs special events, generally on the 40m, 60m and 80m bands, which specialise in use of vintage equipment or to commemorate some historic event with "wireless" connections. These are advertised to members in the News Sheet, and also on the Society’s website. 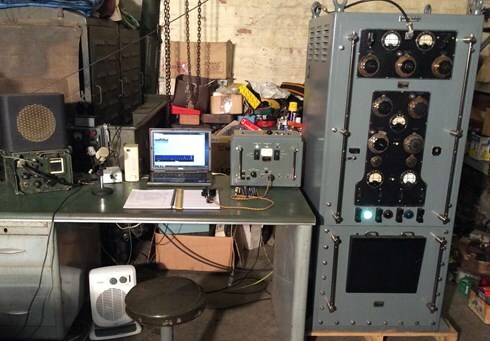 The Dutch Surplus Radio Society run AM and SSB nets for vintage enthusiasts, full details are on their website here . AM activity is increasingly found on a number of other bands, in particular: 5317KHz, 7143KHz, 14286KHz, 21425KHz and 29000 - 29150KHz. There are several local AM nets in the UK on topband. For mobiles working into VMARS events, 2m calling in on 145.500MHz (S20) is usual, before QSY to a working frequency. At event locations where military equipment is in use, suggested FM "Centres of Activity" on VHF are 51.700Mhz, 70.425MHz (70.450MHz calling).